This post is sponsored by ShopAtHome.com and links included may be affiliate links, which means that I earn a small commission. As always, all opinions are my own. Mother Nature seems to be taking her time bringing spring to Ohio this year. We have temperatures in the 40s and 50s with a few days in the 60s, but I know that warmer weather is coming soon. I like to change my hair and makeup for the warmer weather. I already got my hair done and went with a lighter shade of brown and lighter blonde highlights in anticipation of summer. Before we get started on summer 2015 beauty trends, I want to introduce you to ShopAtHome.com. They are partnered with 1000s of websites, including Ulta and Sephora, and offer cash back on your shopping plus exclusive coupons for even more savings! So not only will you have this summer's hottest looks, but you'll get great deals on everything you buy! Winter's thick eyeliner is out. This spring and summer, it's all about thin lines. Get the look with NYX Super Skinny Eye Marker. You can also use this eyeliner to sweep just past your eyes for a cat eye look. You can make a subtle line for everyday wear or a more dramatic thicker line for a night look. You can get cash back and free shipping on orders over $25 right now too. Red lipstick is hot this summer. If you've never work red or been afraid of red, here is a list of tips to wear red lipstick. 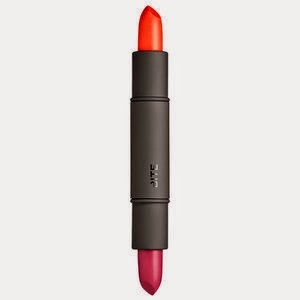 I love Bite Beauty's Luminous Crème Lipstick Duo because it has two amazing colors. You can even layer them for even more shades. If you're not a fan of red lipstick, then try a new shade of pink. From candy pink to fuchsia, pink always looks good. 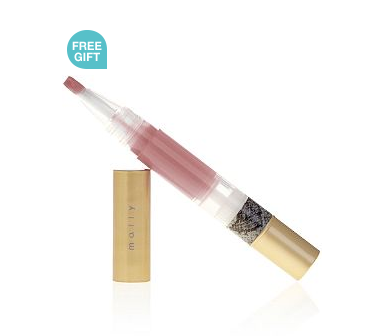 One to try is Mally Beauty High Shine Liquid Lipstick. Right now, you can score a free gift with purchase, $3.50 off a $10 purchase, and 4 percent cash back! Personally, I can't stand to wear a heavy foundation in the spring or summer. It just makes me feel yucky, and it will melt off of my face anyway. I like how liquid applies on my skin, so I really love The Big Easy Liquid to Powder SPF 35 Foundation because it applies like a liquid and dries to a powdery finish. Bonus, if you shop through ShopAtHome.com, you get a bonus gift and 4 percent cash back. Even if you don't have a tan yet this year, fake some color with bronzer. 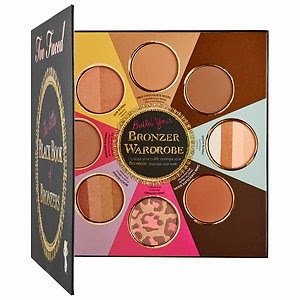 I am in love with Too Faced's Little Black Book of Bronzers because it's so versatile. You can use it for contouring, faking a tan, or a more sculpted look. You can get free shipping and 4 percent cash back right now, too! Pink isn't just for lips for summer 2015 beauty trends. Pink blush is very popular this year, and it's not meant to be subtle. 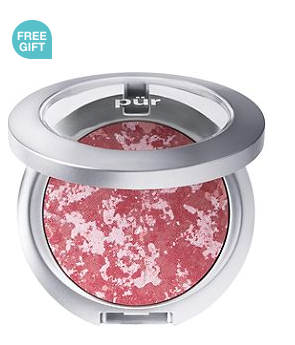 This Marble Powder from Pur Minerals has a free gift right now, and you can score 4 percent cash back and $3.50 off a $10 purchase. 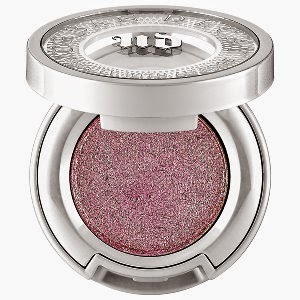 Glitter eyeshadow is back for 2015! I love Urban Decay Moondust eyeshadow because it comes in 10 different colors. Wear them alone or pair with other colors. Right now, you can score this shadow with free 2-day shipping and 4 percent cash back. Mauve is the new brown. It looks on many skin tones. Again, wear it by itself or blend with other colors. 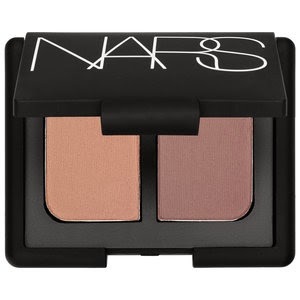 NARS Duo Shadow pairs muted mauve with smokey plum for a dramatic look. Get 4 percent back and a free gift with purchase. Want something different for your eyes? Try going blue. If you've never worn blue before, read 7 rules for blue eyeshadow for some tips. 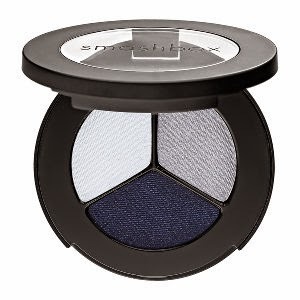 Smashbox Photo Op Eye Shadow Trio has three amazing shades of blue in one package. You can also get 4 percent cash back and a free deluxe sample with your order. Forget boring brown or black, colored eyelashes are in this year. 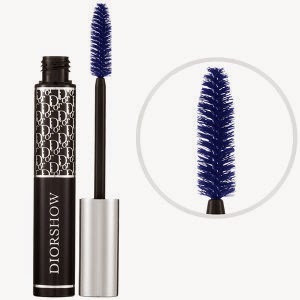 Dior Diorshow is an amazing blue mascara that will pair well with blue eyeshadow. Get free 2-day shipping and 4 percent cash back. Which summer 2015 makeup trend is your favorite?